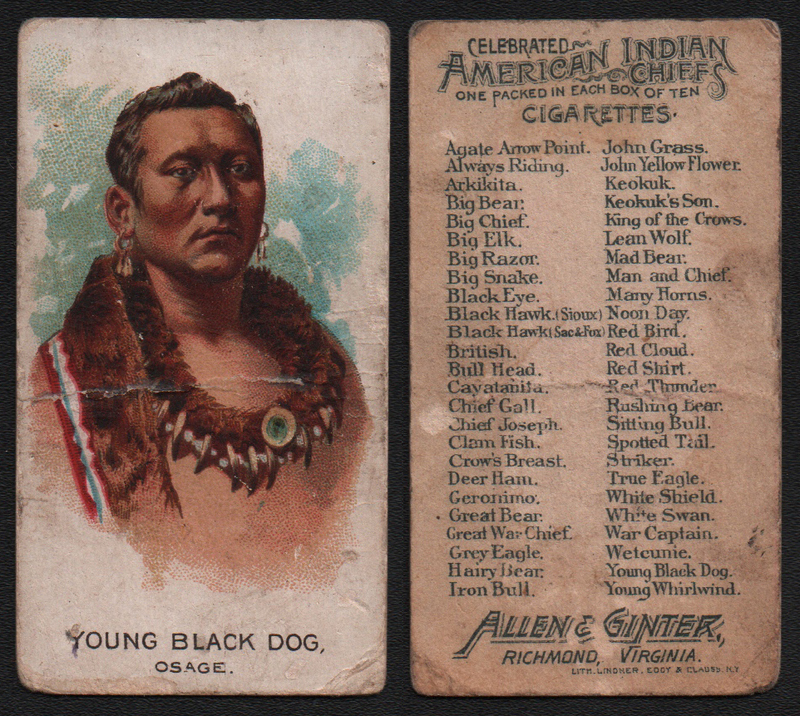 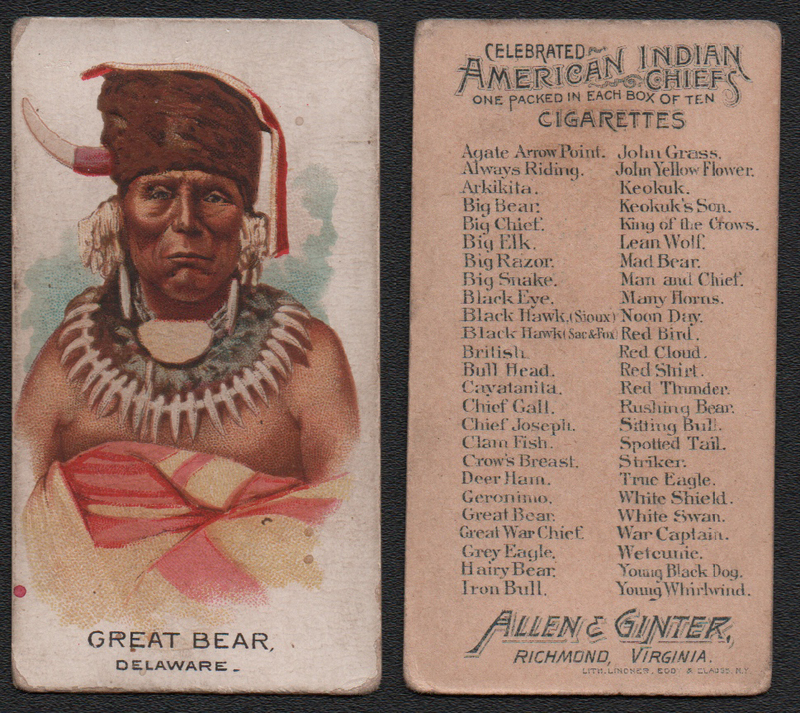 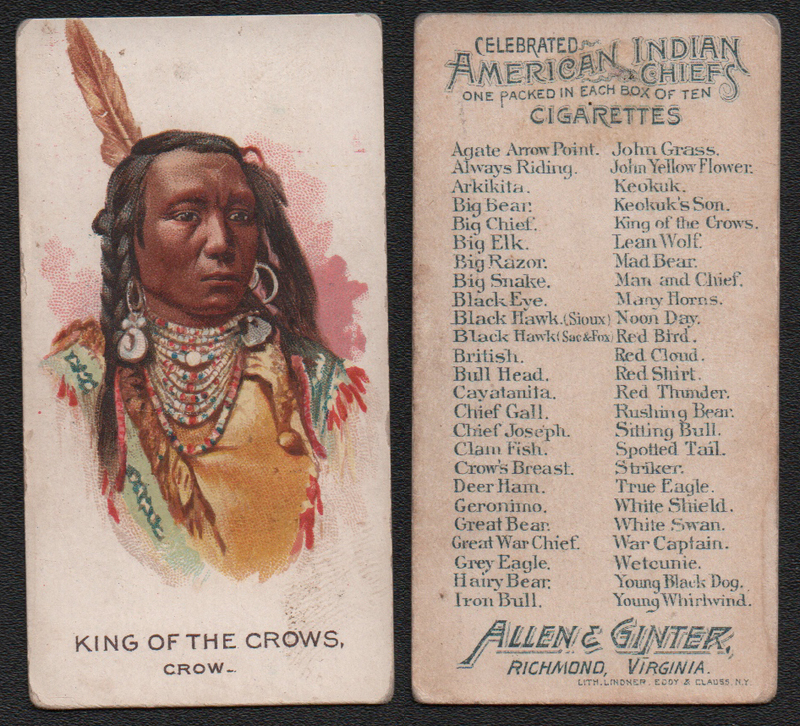 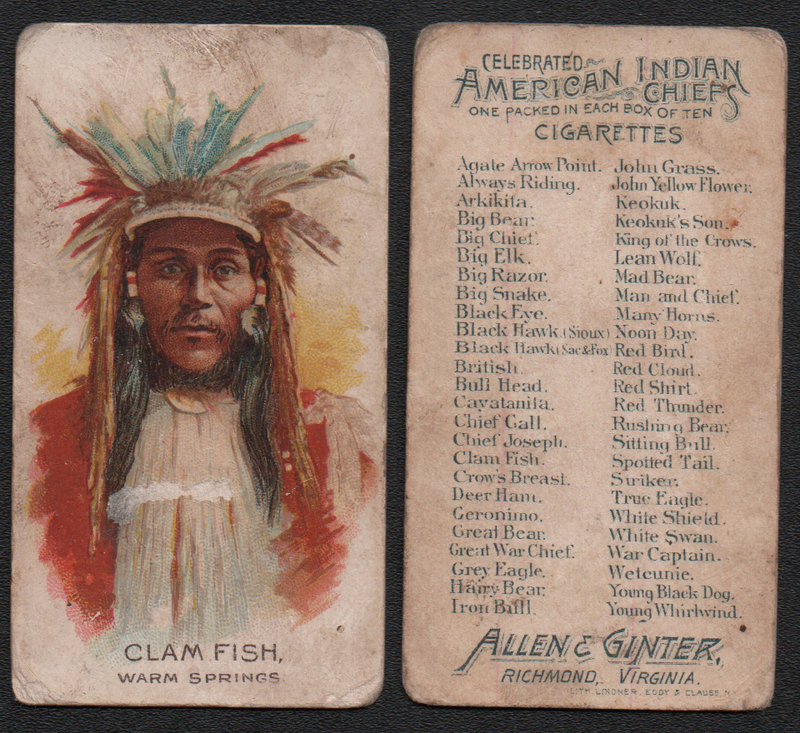 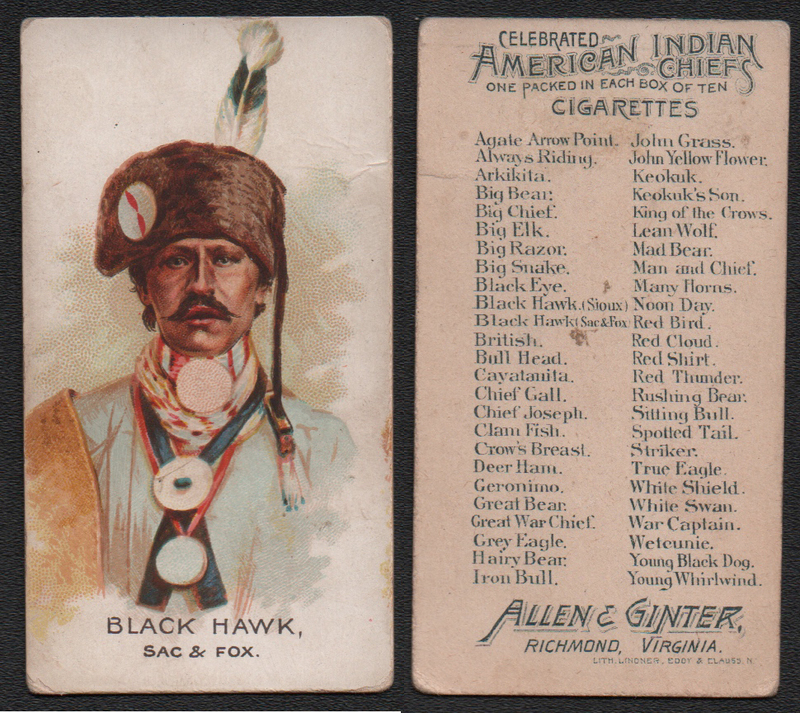 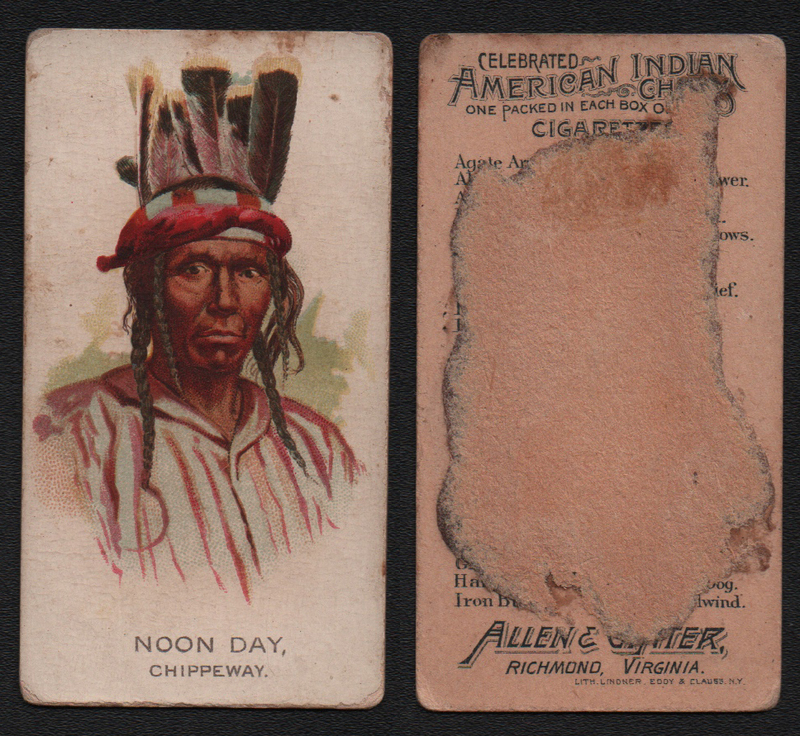 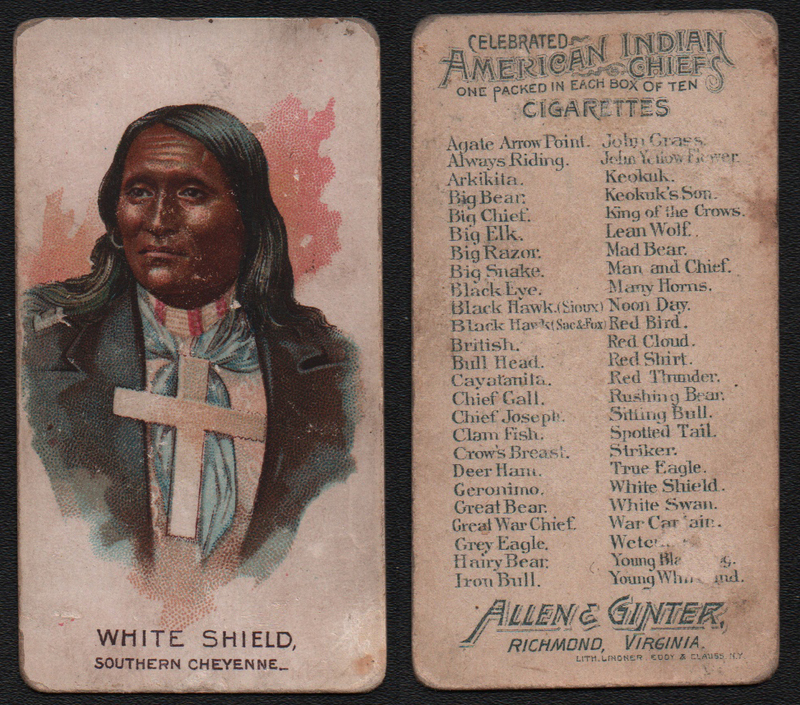 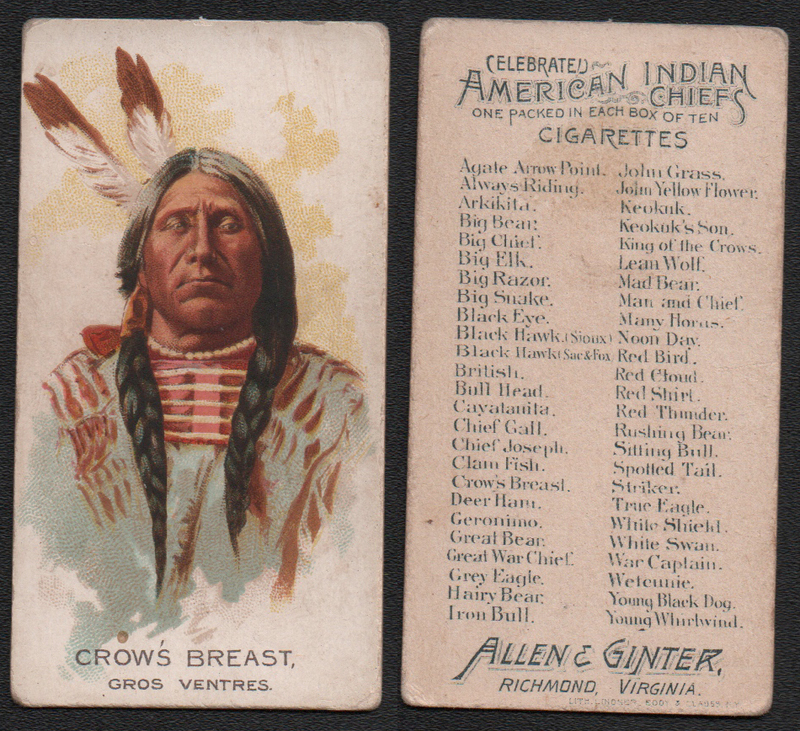 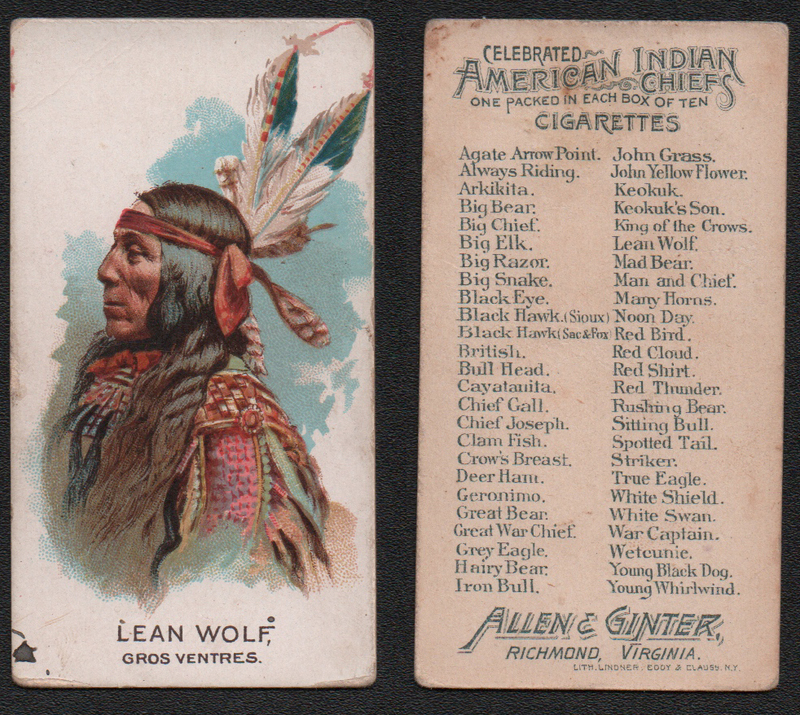 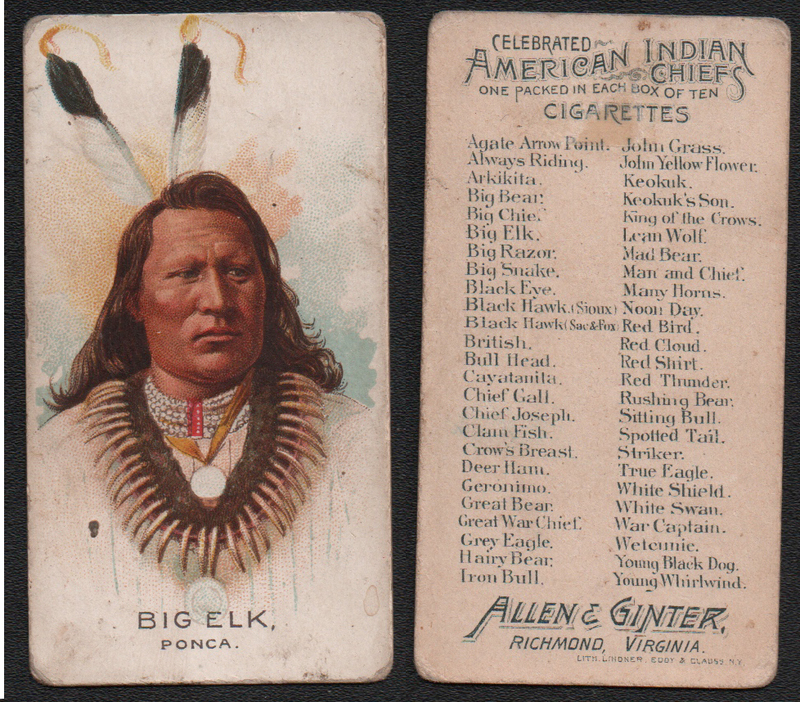 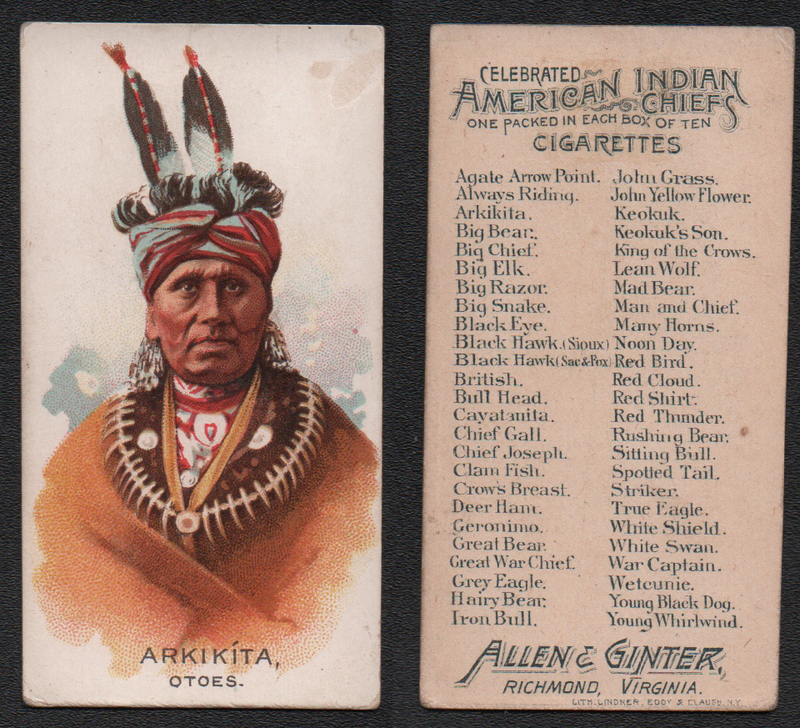 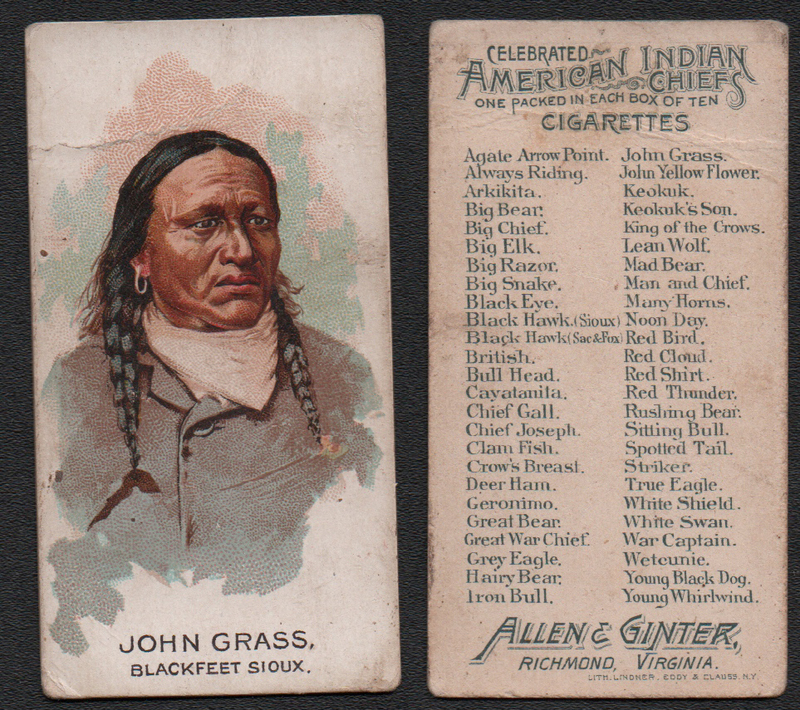 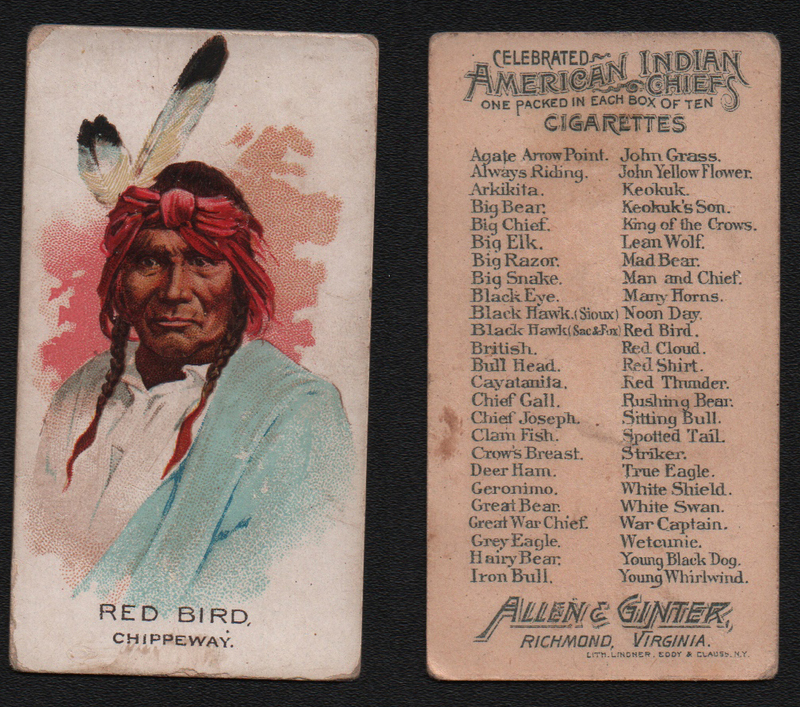 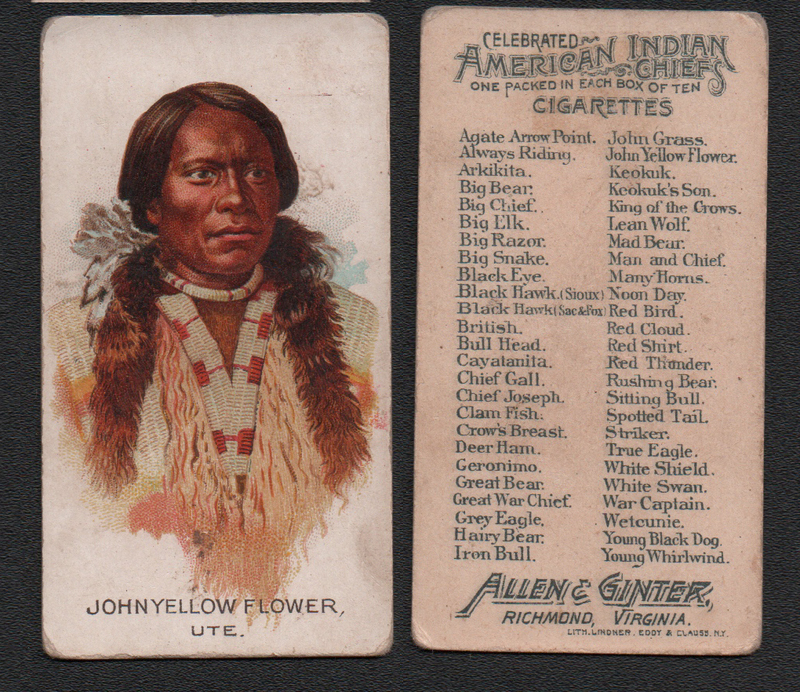 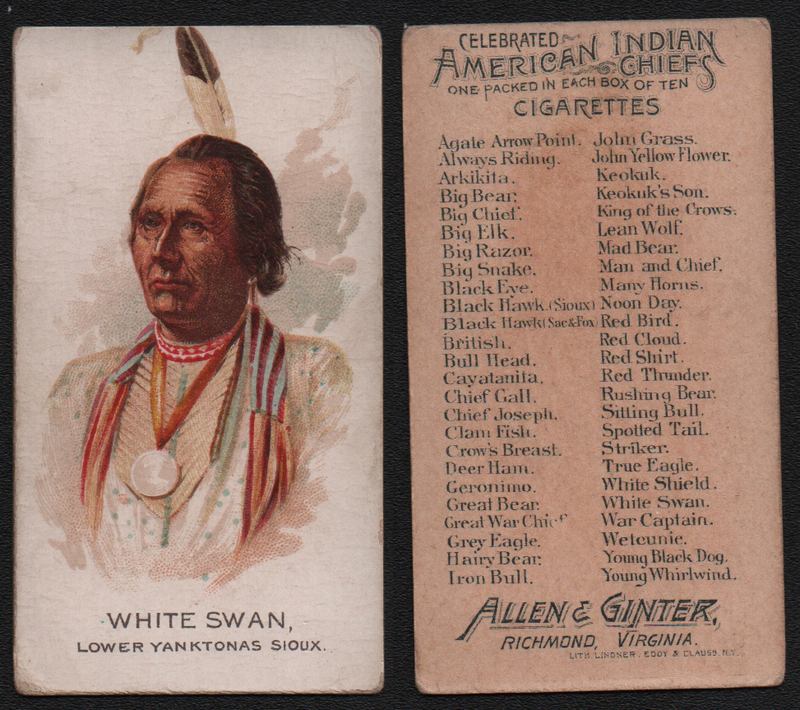 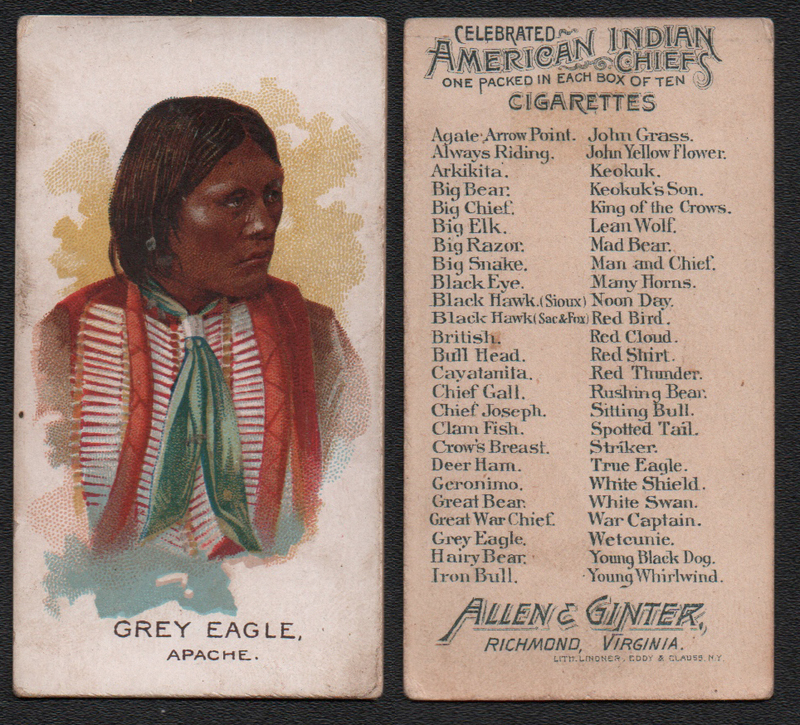 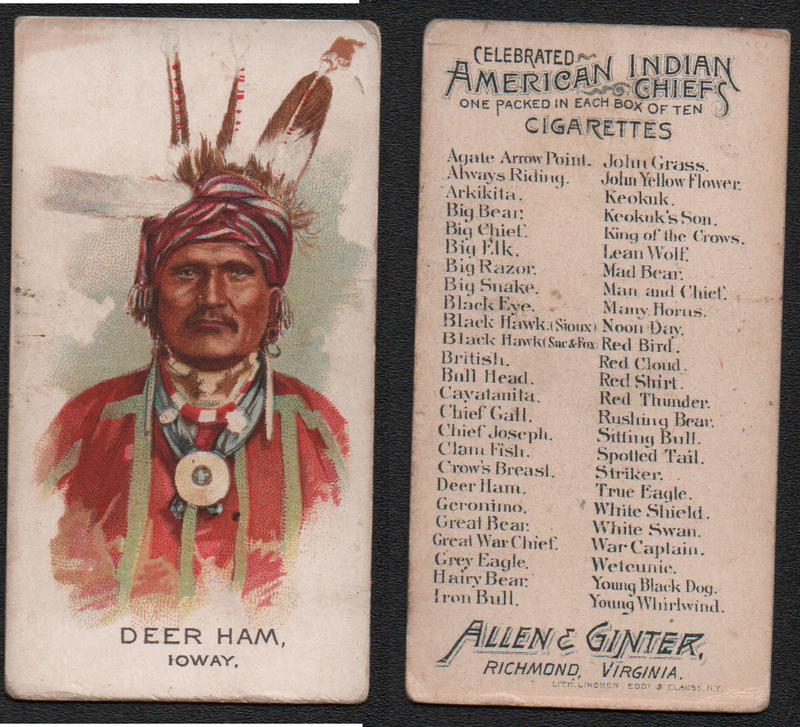 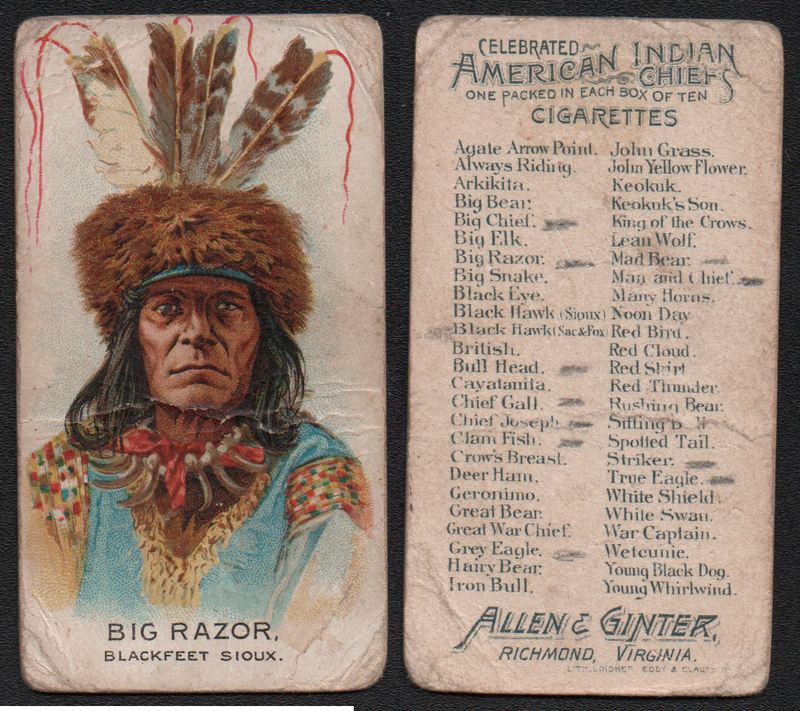 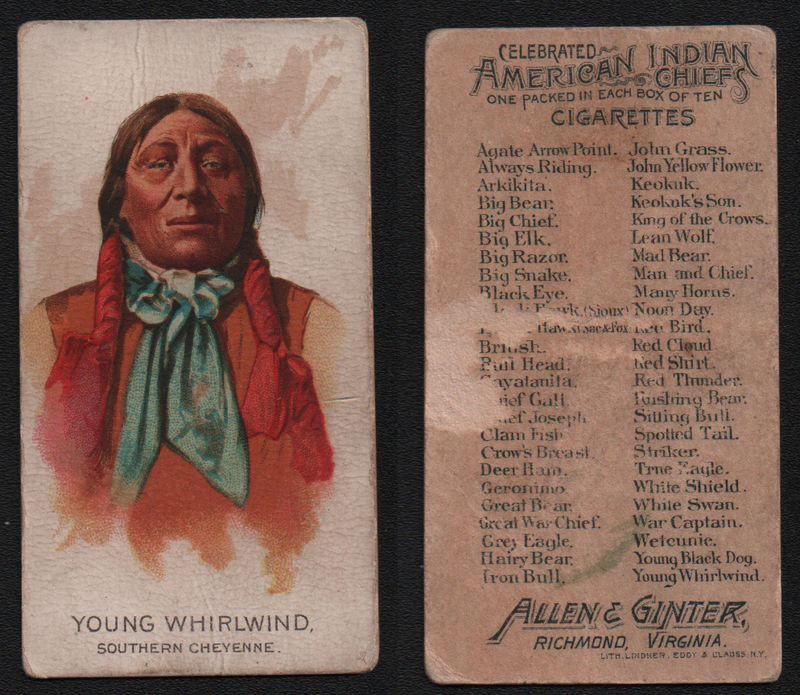 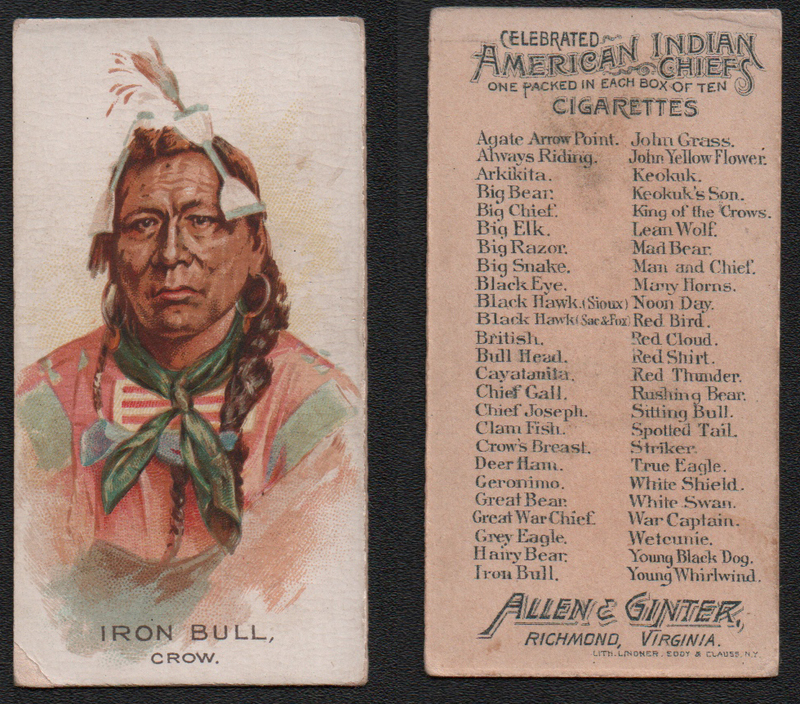 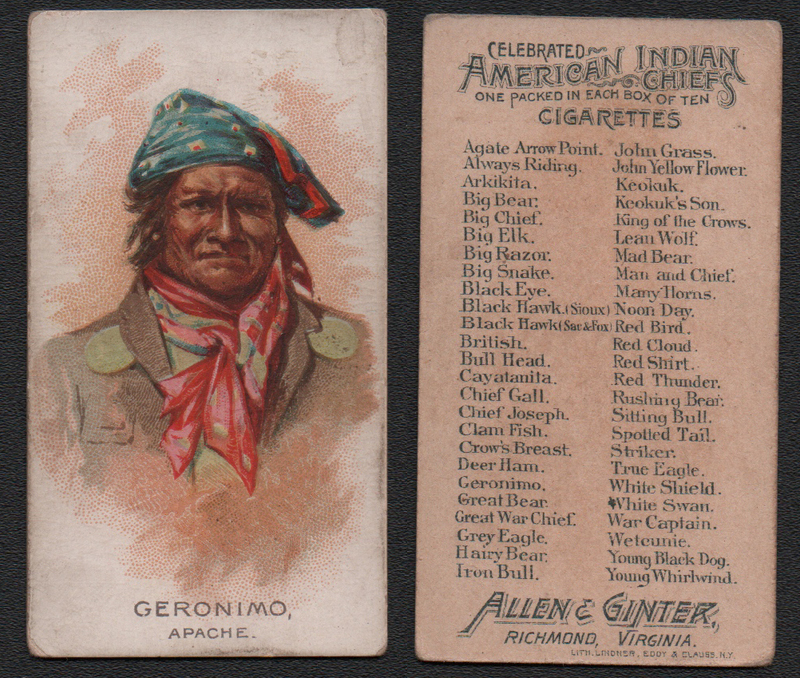 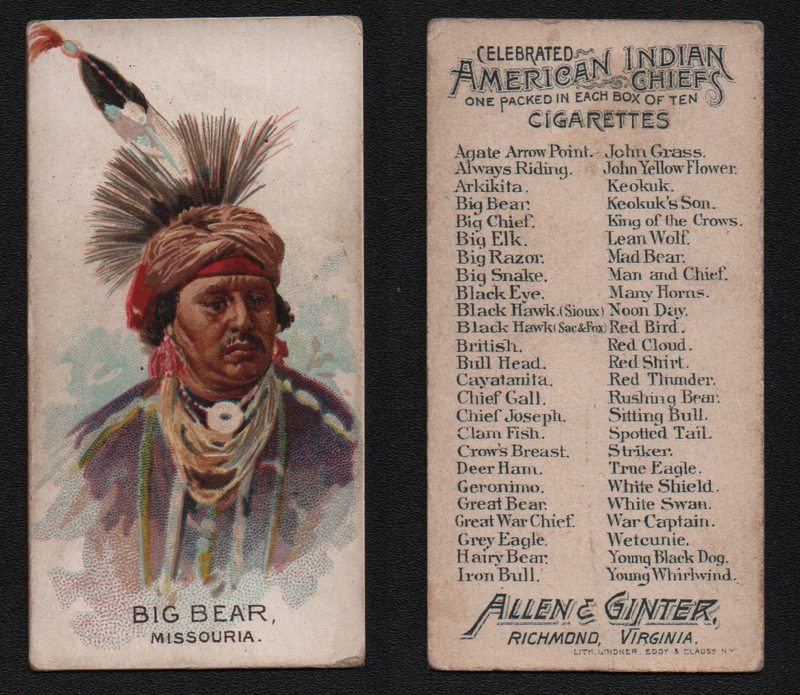 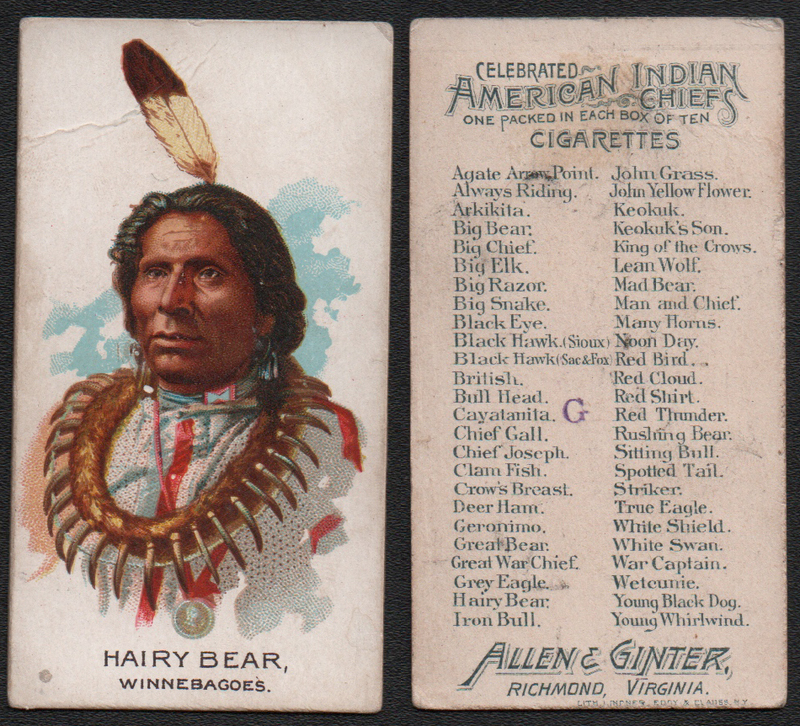 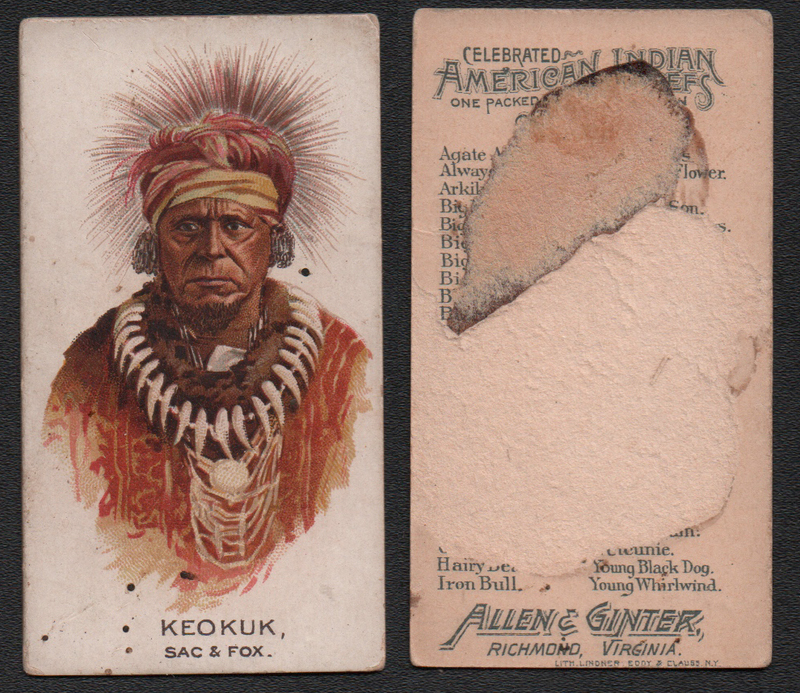 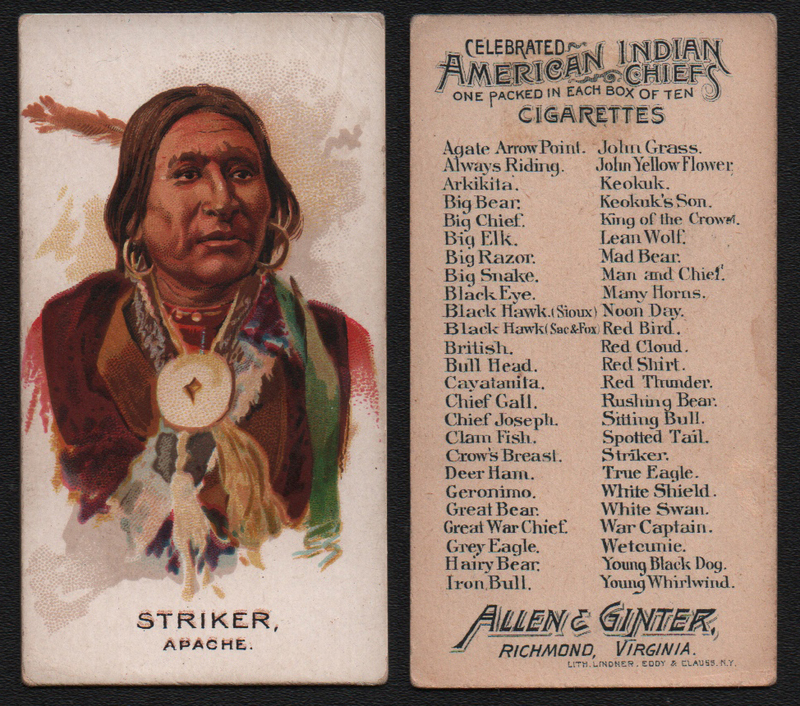 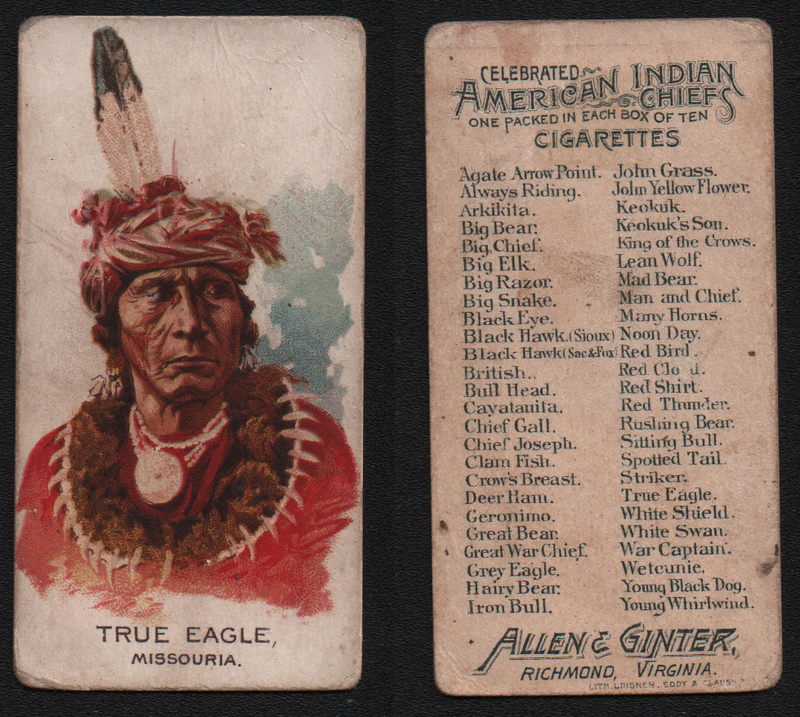 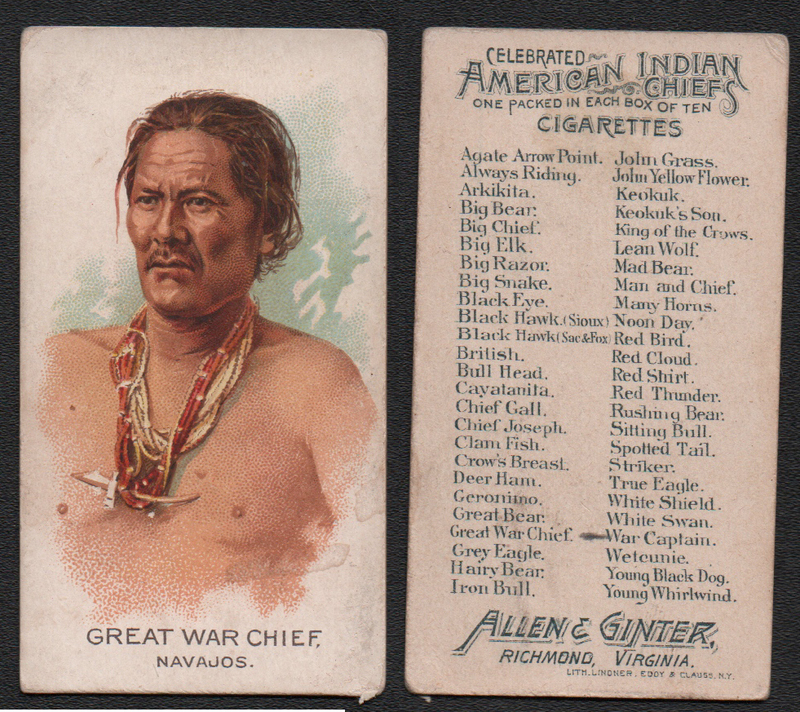 Allen & Ginters N2 American Indian Chiefs. 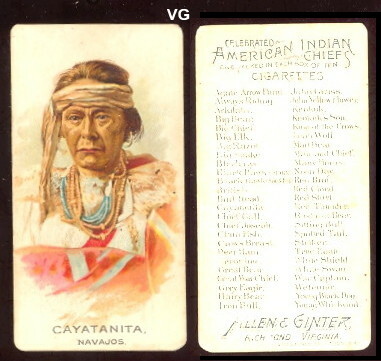 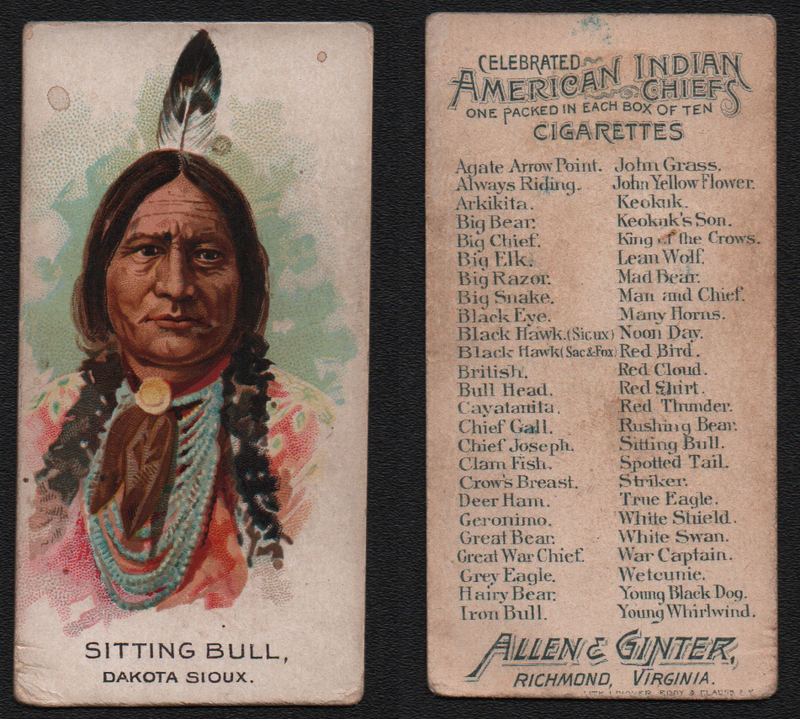 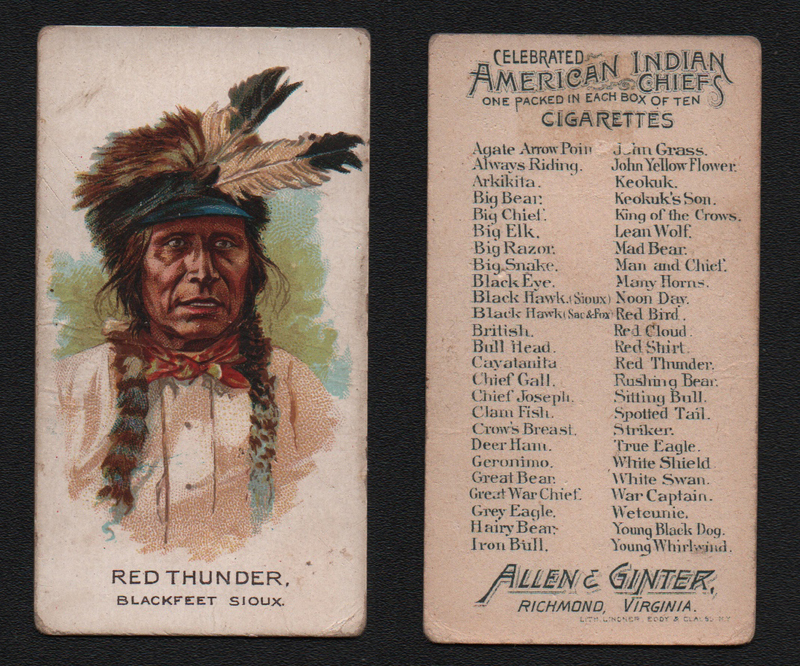 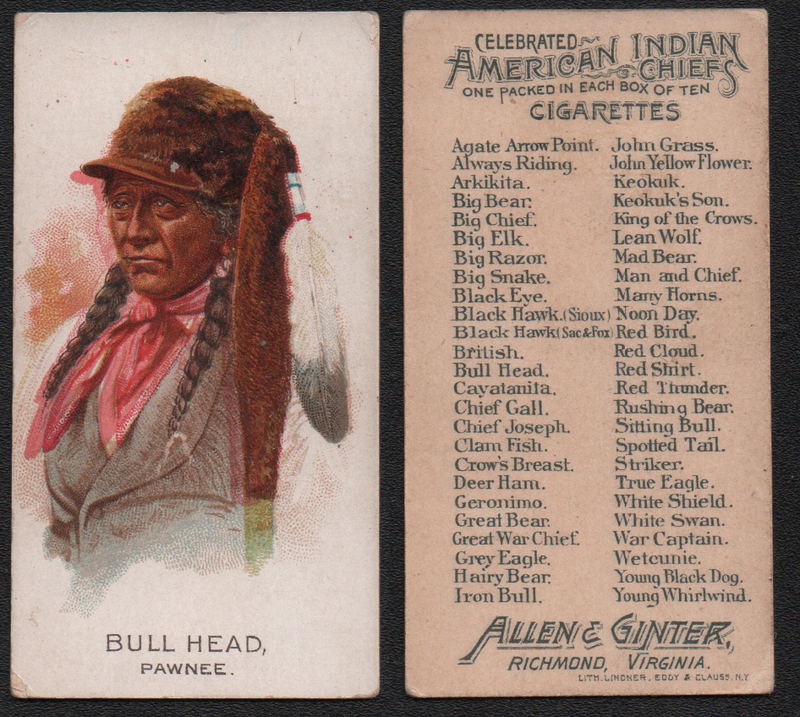 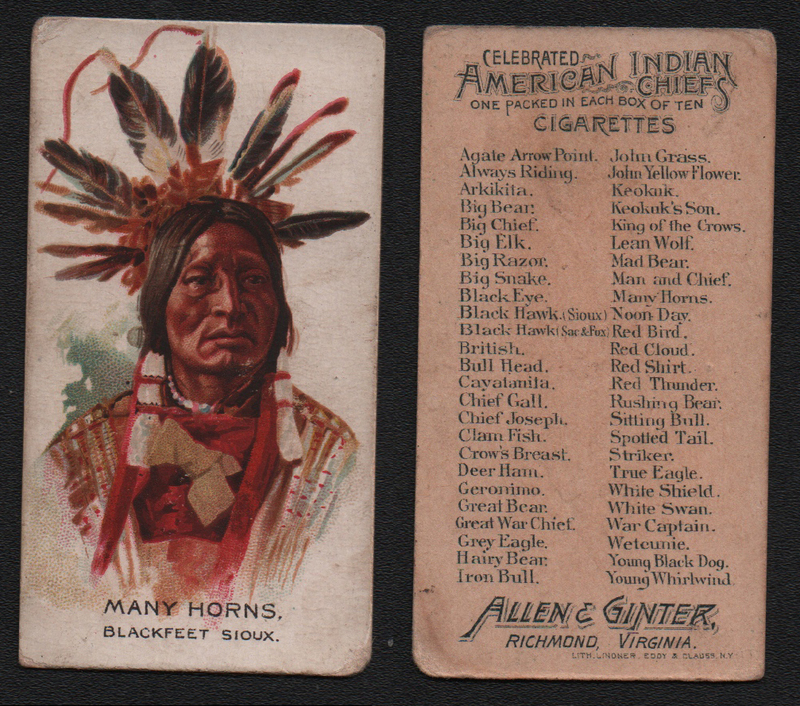 Issued around 1888, The cards measure 1-1/2" X 2-3/4" and there are 50 in the series. 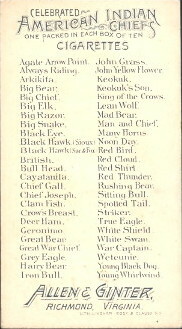 Each card has a checklist on the back. 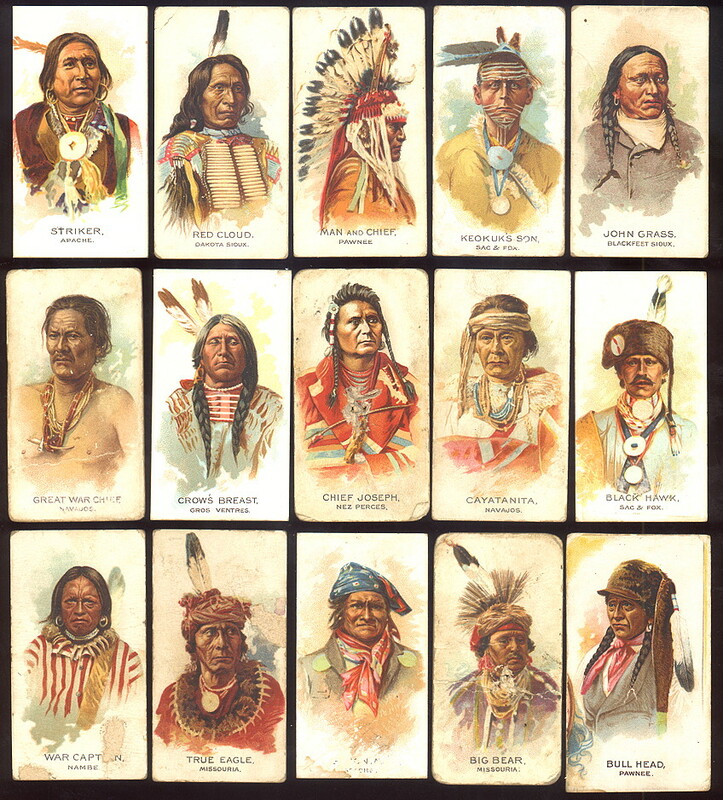 RETURN TO MAIN PAGE Complete Set Available, click here for details!